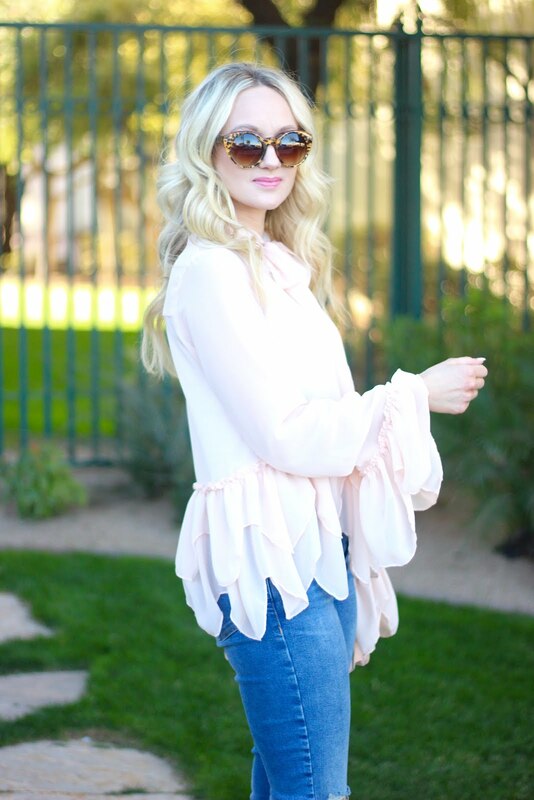 Top: Shein c/o | Denim: Topshop | Heels: Charlotte Russe also love these | Sunglasses: Old similar here | Lipstick: MAC in "All Styled Up" with this lipliner in "Soar"
From the minute I saw this top I had to have it! 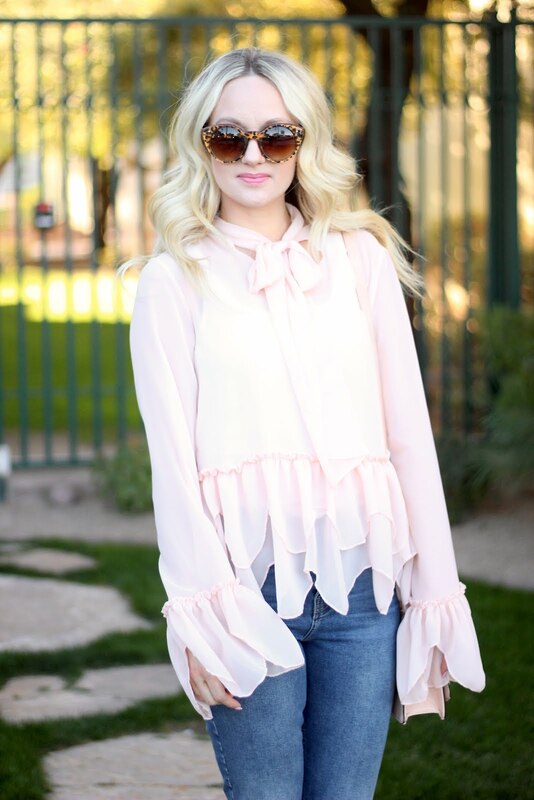 The cut and ruffle details is so romantic and sweet, perfect for V-day that is just around the corner. I think my favorite part is the sleeves and neck tie, and it the material just flows so beautifully. AND....it's only $17!!!!! I couldn't believe it either. Way to cute to pass up.